ABSTRACT: In the present study an attempt has been made to prepare fast dissolving tablets of Sumatriptan Succinate to improve dissolution rate of the drug in oral cavity & hence better patient’s compliance & effective therapy. Sumatriptan Succinate is a 5-HT1D (5-hydroxy tryptamine 1D) receptor agonist, used in the treatment of migraine and cluster headache. It has low bioavailability due to its first pass metabolism. Hence the main objective of the study was to formulate fast dissolving tablets of Sumatriptan succinate to achieve a better dissolution rate and further improving the bioavailability of the drug. Fast dissolving Sumatriptan succinate was prepared using superdisintegrants Crospovidone, Croscarmellose Sodium, and Preglatinised Starch using the direct compression method. The tablets prepared were evaluated for Thickness, Uniformity of weight, Drug content, Hardness, Friability, Wetting time, in vitro and in vivo disintegration time, in vitro drug release. The formulation F3 containing Crospovidone (8%) was found to give the best result since it showed enhanced dissolution, which leads to improved bioavailability, improved effectiveness and hence better patient compliance. INTRODUCTION: Fast-dissolving drug delivery systems have rapidly gained acceptance as an important new way of administering drugs. Improved patient compliance is a primary benefit of the fast-dissolving drug delivery systems. This fast-dissolving action is primarily due to the large surface area of the film, which wets quickly when exposed to the moist oral environment. These additional, superior benefits allow patients to take their medication anytime and any place under all circumstances. The fast dissolving drug delivery system offers a giant leap forward in drug administration by providing a new and easy way of taking medication 1. Sumatriptan succinate (STS) is an agonist for 5-Hydroxytryptamine receptors and it is widely prescribed for the treatment of migraine and cluster headaches. Sumatriptan undergoes an extensive biotransformation, mainly through Mono Amino Oxidase-A. It is a white to off line white powder bitter in taste and is readily soluble in water and in saline. The oral bioavailability of Sumatriptan Succinate is 14 ± 5 % owing to an important first pass metabolism. It has an elimination half-life of 2.5 hours and absorption zone from the upper intestinal tract. Plasma protein binding is low 14% to 21% 2. Sumatriptan stimulates 5-HT receptors (1D subtype) resulting in selective vasoconstriction of inflamed and dilated cranial blood vessels in the carotid circulation. It also blocks the release of vasoactive neuropeptides from perivascular trigeminal axons in the dura mater during migraine and may inhibit the release of inflammatory mediators from the trigeminal nerve 2-3. MATERIALS AND METHOD: Sumatriptan succinate was a gift sample from Wockhardt Pharmaceuticals, Aurangabad, Croscarmellose sodium (CCS) and Crospovidone(CP),Preglitanised Starch were gift samples from Elder Pharmaceuticals Dehradun. Directly compressible microcrystalline cellulose (MCC), aspartame and mannitol (directly compressible) were obtained from Seron Pharma Dehradun. All the other ingredients were of analytical grade. Preparation of Fast Dissolving Tablets by direct compression method 4, 11, 13, 15: Fast dissolving tablets of Sumatriptan Succinate were prepared by Direct Compression (Die No. 8). All the Ingredients were passed through mesh # 60. Required quantity of each ingredient was taken for each specified formulation and all the ingredients were co-grinded in mortar and pestle (table 1). where, BD = Bulk Density, M = Mass of powder (gm), Vb= Bulk Volume of the Powder (ml). The result of bulk density is shown in table 2.
where, M = Mass of powder (gm). ; Vt = Tapped volume of the powder. The result of tapped density is shown in table 2. 3) Angle of Repose (θ): Angle of repose (θ) was determined using funnel method. The blend was poured through a funnel that can be raised vertically until a maximum cone height (h) was obtained. The radius of the heap (r) was measured and angle of repose was calculated. where, θ = Angle of Repose; h = height in (cms), r = radius in (cms). The result of angle of repose is shown in table 2. The data of percentage compressibility is shown in table 2. 5) Hausner Ratio: Hausner’s ratio is an indirect index of ease of powder flow. It was calculated by the following formula. where, Dt is the tapped density; Db is the bulk density. Lower Hausner’s ratio (<1.25) indicates better flow properties than higher ones (>1.25). The data for hausner ratio is shown in table 2.
a) Weight Variation: Twenty tablets were selected randomly from each formulation and weighed individually using a Shimadzu digital balance (BL-220H). The individual weights were compared with the average weight for the weight variation. b) Thickness: Ten tablets from each formulation were taken randomly and their thickness was measured with a micrometer screw gauge. c) Hardness and Friability: Hardness of the tablets was measured using the Monsanto Hardness Tester (Pharmalab, Ahmedabad, India). The friability of a sample of twenty tablets was measured using a USP type Roche friabilator (Pharmalab, Ahmedabad, India). Pre-weighed tablets were placed in a plastic chambered friabilator attached to a motor revolving at a speed of 25 rpm for 4 min. The tablets were then dusted, reweighed and percentage weight loss (friability) was calculated. d) Drug Content Uniformity: For the content uniformity test, ten tablets were weighed and pulverized to a fine powder, a quantity of powder equivalent to 50 mg of Sumatriptan Succinate was extracted into distilled water and liquid was filtered (0.22 mm membrane filter disc (Millipore Corporation). The Sumatriptan Succinate content was determined by measuring the absorbance at 228 nm (using UV-vis spectrophotometer, Shimadzu 1700) after appropriate dilution with distilled water. 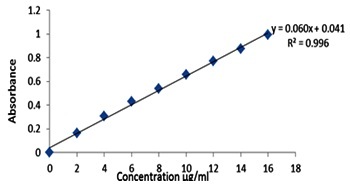 The drug content was determined using standard calibration curve as shown in Fig. 1. The mean percent drug content was calculated as an average of three determinations. e) In vitro Dispersion Time: One tablet was placed in a beaker containing 10 ml of pH 6.8 phosphate buffer at 37±0.5ºC and the time required for complete dispersion was determined. f) In-vitro Disintegration Time: The in-vitro disintegration time was determined using disintegration test apparatus. One tablet was placed in each of the six tubes of the apparatus and one disc was added to each tube. The time in seconds taken for complete disintegration of the tablet with no palatable mass remaining in the apparatus was measured in seconds and result are shown in table 3.
where Wb = Weight of tablet before water absorption and Wa = Weight of tablet after water absorption. h) In- vitro Drug Release Study 11, 12, 17: Dissolution rate was studied by using USP type-II apparatus at 50 rpm (USP XXIII Dissolution Test Apparatus) using 900 ml of phosphate buffer pH 6.8 as dissolution medium. Temperature of the dissolution medium was maintained at 37±0.5ºC; aliquot of dissolution medium was withdrawn at every 5 minute interval and filtered. The absorbance of filtered solution was checked by UV spectrophotometric method at 228 nm and concentration of the drug was determined from standard calibration curve. Dissolution rate was studied for all designed formulations and the results are shown in table 4 and the graph is shown in figure 2. Stability Studies 16: The stability studies of formulated tablets was carried out at 40°C ± 2 °C/ 75%±5%RH using a stability chamber for one month. Dissolution study of selected formulation F3 was carried out after subjecting the formulation for stability study. From the data, the formulation is found to be stable under the conditions mentioned before since there was no significant change in the percentage amount of drug content (table 5). RESULT AND DISCUSSION: The present study was undertaken to formulate and evaluate fast dissolving tablets of Sumatriptan Succinate by direct compression method using Croscarmellose sodium crospovidone and Preglatinised Starch as a superdisintegrants. The amount of Superdisintegrants was optimized in the formulation of FDTs. The total 7 were formulation (F1-F7) prepared using different concentration of Croscarmellose sodium crospovidone and Preglatinised Starch to study its effect on disintegration time. Percent weight variation was observed between 4.1 and 6.0 which were well within the acceptable limit for uncoated tablets as per Indian Pharmacopoeia. It is well known that the tablets with more hardness show longer disintegration time. Since mechanical integrity is of paramount importance in successful formulation of FDTs, hence the hardness of tablets was determined and was found to be in the range of 3.5 to 3.8 Kg/cm2. Friability was observed between 0.39 and 0.51%, which were below 1% indicating sufficient mechanical integrity and strength of prepared tablets. The disintegration time for all formulations was found to be 19-54 seconds and wetting time was 16-43 seconds. The in vitro dissolution study was performed for all formulations in vitro dissolution studies showed that more than 90% of the drug was released from the all formulations within 10 minutes. The F3 formulation containing crospovidone in concentration of 8% showed minimum disintegration time of 19 seconds, wetting time of 35 seconds and drug content of 100.81% and percentage drug released was 96.04% within 10min. CONCLUSION: Fast dissolving tablets of Sumatriptan Succinate were prepared by direct compression method using Croscarmellose sodium, crospovidone and Preglatinised Starch as a superdisintegrants. The tablets disintegrated rapidly in oral cavity and had acceptable hardness and friability. In vitro drug release from the tablets shows significantly improved drug dissolution. It was concluded that in direct compression method, crospovidone was best superdisintegrant with MCC as binding agent. Hence, it could be concluded that the superdisintegrant based fast dissolving tablets of Sumatriptan Succinate would providing quick onset of action without need of water for swallowing or administration. Rangasamy M., Balasubramaniam A., and Gummadevelly S. “Design and Evaluation of β-Cyclodextrin Complexes of Meloxicam Tablet”. 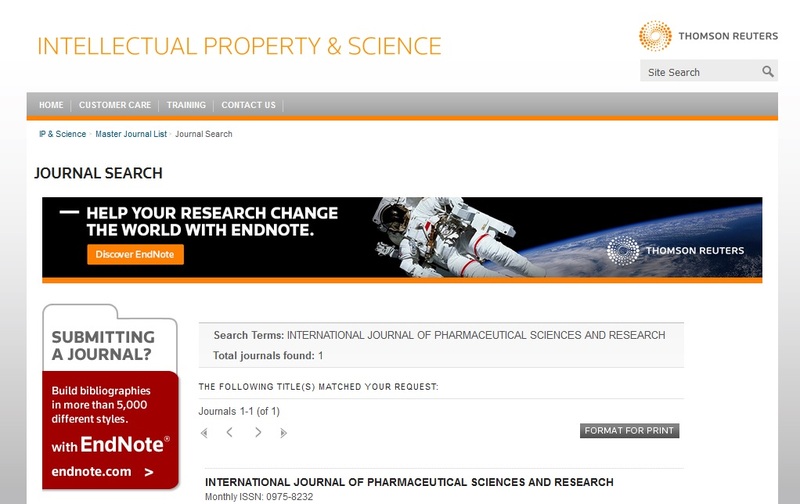 Research Journal. Pharm. Tech., 2008; 484-486. Marit D. M., and Gillian M.K. “Sumatriptan Fast-Disintegrating Rapid Release Tablets Adis Data Information Drugs, 2006; 883-890. Tripathi K.D. “Essential of Medical Pharmacology”, 7th ed., Jaypee Publisher Ltd.Delhi. 2008 . Indhumathi D.G., Rathnam. “Design and Optimization of Oral Dissolving tablets of Antidepressant Drug by Superdisintegrant Addition Method” Int. J. of Pharma. Sc Review Research.2010 1-9. Banker G.S., Rhodes C.T. “Modern Pharmaceutics”, 4th edition, Marcel Dekker Inc., 2002; vol-121 667. Lachman L., Liberman H.A. and Kanig J.L. “The Theory and Practice of Industrial Pharmacy”. 3rd edition.Varghese Publishing House, Bombay, 1998: 430-440.
Cooper J., Gunn C., Carter S.J. “Tutorial Pharmacy”.CBS Publisher and Distributors, New Delhi, India,1986; 211-233. Aulton M.E., Wells T.I. “Pharmaceutics: The Science of Dosage Form Design”.London, England: Churchill Livingstone; 1988; 89 -90. Majajan H.S., Kuchekar B.S.,and Badhan A.C. “Mouth dissolving tablet of Sumatriptan Succinate”. Ind. J. Pharmaceutical Sciences. 2004 66, 238-240. Ansel H.C., Popovich N.G., and Allen L.V., “Pharmaceutical dosage forms and Drug Delivery System”.8th ed. B.I. Waverly Pvt. Ltd; . New Delhi, 1995. Martin A. Physical Pharmacy. 3rd ed. . In: Lea, Febiger, editors. Philadelphia; 1983. 399‐444. Brahmankar D.M., Jaiswal S.B. “Biopharmaceutics and Pharmacokinetics: A Treatise”. 1st edition, 1995, Vallabh Prakashan, Delhi, 171-172. 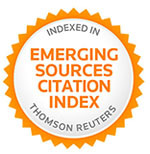 Kristin J, Maryadele J, Patricia E, Heckelman, and Cherie B, The Merck Index. 14thed., Merck and Co. Inc, Whitehouse station, NJ; USA. 326, 327, 392. Raymond C.R., Paul J.S., and Sian C.O. “Handbook of pharmaceutical Excipients”. 3rd ed, Pharmaceutical Press, London.2005;185-188, 206-208, 433-439, 728-731, 404-407, 326-329. “ICH Q1A (R2), Stability Testing Guidelines, Stability Testing of a New Drug Product and New Drug Substance”. “Indian Pharmacopoeia”. 4th ed. Controller of Publication. India, New Delhi: 1996. P. 80. “British Pharmacopoeias”, 2006, Volume I., Stationary Office of the Medicine and Healthcare Products Regulatory Agency, Great Britain. 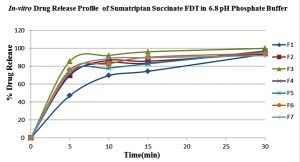 Bisht SS, Chaurasia H, Varshney S, Reena and Kotiyal D: Formulation and evaluation of Fast Dissolving Tablets of Sumatriptan succinate. Int J Pharm Sci Res 2013; 4(5); 1912-1917.